Flies are nasty creatures, where they happen to be a vector for diseases and other unwanted illnesses. Having said that, the regular bug zapper might be handy, but it definitely isn’t going to be able to get the job done 100% all the time. There are moments when you need to take things into your own hands – literally, and the classic fly swatter still has its usefulness. However,here is a fun take on the traditional fly swatter, arriving in the form of the $19.95 Fly Swatter Wall Clock. 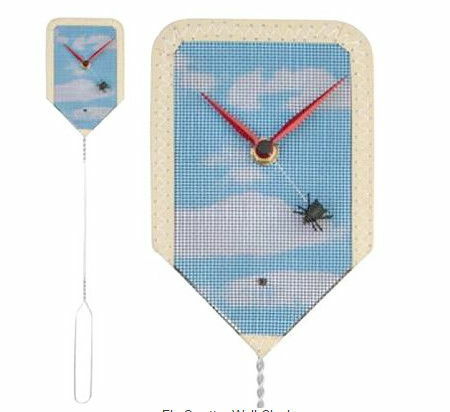 The name of this bizarre wall clock says it all, sporting a fly that dances all around the swatter each second which might just drive some people nuts.